Wigan Athletic pulled off one of the shocks of the season – battling to a 1-0 win against Premier League high flyers Manchester City. 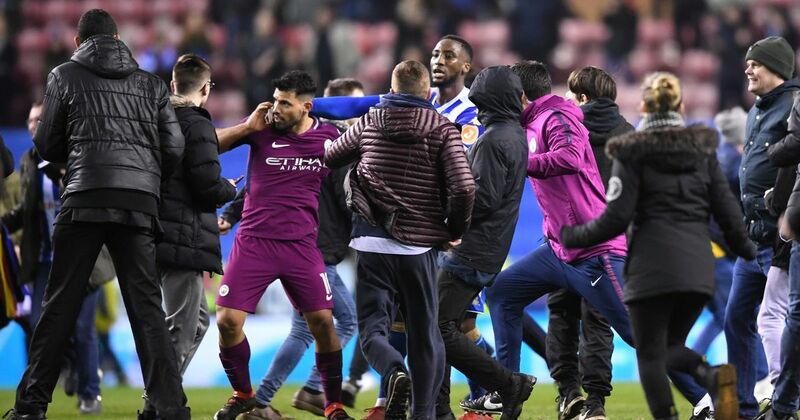 Last night’s event at the DW Stadium certainly delivered on the drama front, as chaotic scenes marred the fifth round FA Cup tie. City defender Fabian Delph was ordered off the pitch after he’d received an arguably harsh red card. 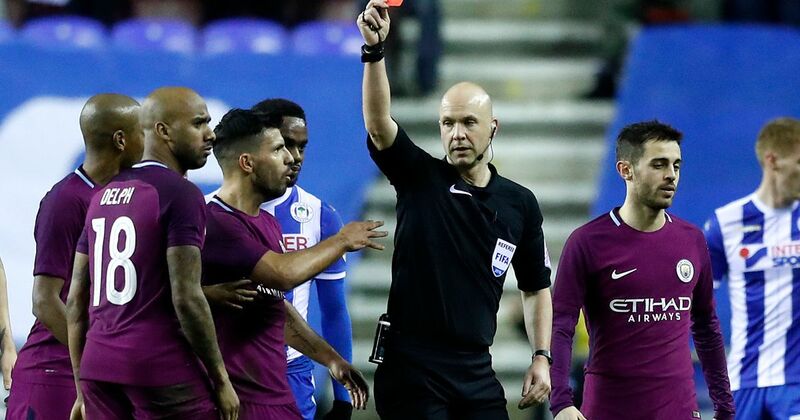 At first, referee Anthony Taylor brandished a yellow, only to change his mind after being hounded by several Wigan players. The sending off incident then sparked a series of events that increased the tension prior to the halftime whistle. Opposing managers Paul Cook and Pep Guardiola even locked horns in the tunnel as tempers were flaring. With less than 15 minutes to go, Wigan found themselves ahead as star striker Will Grigg found the net. He placed the ball beyond back up City keeper Claudio Bravo in the 79th minute – sending the home crowd into sheer delight as chants of ‘Will Griggs on fire’ echoed around the stadium. Ultimately, Wigan were able to hold on until the final whistle, which means they progress to the quarter-final stages at home to Southampton. Once the game drew to a close, fans then spilled onto the pitch as the DW Stadium descended into chaos. It appeared that City striker Sergio Aguero was provoked by a Wigan fan. The Argentina international reportedly saw a punch thrown at him and was potentially even spat at. As well as the altercation between Aguero and an opposing fan, advertising boards were hurled towards stewards and police officers. The culprits were believed to be City fans who were venting their frustration in a hugely unacceptable manner. We won’t know the full story until a full inquiry is launched by the FA. However, we’re certainly expecting both sides to face punishment as a result of a failure to control both their fans and players.